Fine Gael councillors who help challengers to Michael D Higgins get a presidential nomination are unlikely to face sanctions despite a directive from headquarters. 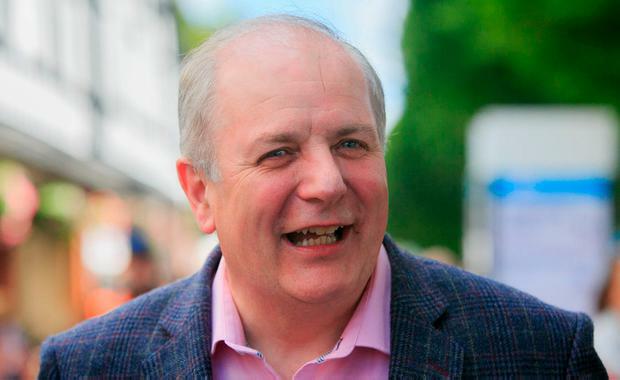 The party’s local representatives have been ordered to “unconditionally” back the re-election of Mr Higgins – but the first cracks in the policy have emerged in Meath. Two councillors, Maria Murphy and Alan Tobin, have confirmed to the Irish Independent that they will support businessman Gavin Duffy and they expect others to follow. He said Mr Duffy had been “incredibly proactive” in the county over the years and took part in a number of community events, including school visits. Taoiseach Leo Varadkar was to the forefront of Fine Gael’s decision to back Mr Higgins, meaning any councillors who take a different route will be in direct defiance of his wishes. However, in news that will boost the hopes of Mr Duffy and other potential candidates, senior party sources indicated that they do not expect any punishment to be handed down. A Fine Gael spokesperson said the party wants members “on the whole” to give Mr Higgins “their fullest support”. “We have requested that no Fine Gael councillor or Fine Gael council group nominates a candidate in opposition to Michael D Higgins. “In supporting Michael D Higgins, we acknowledge that he has demonstrated over the last seven years that he has been a model President who has brought great dignity to the office and earned great affection from the nation,” the spokesperson said. Meanwhile, the Irish Independent has learned that Mr Duffy’s fellow investor on ‘Dragons’ Den’, Sean Gallagher, is still weeks away from declaring his intentions. Mr Gallagher, who finished second in the 2011 election, has a small team carrying out an assessment of his chances. He will wait until the Government formally announces an election before going public. The businessman has not contacted councillors seeking support but is confident that he will get nominations from four local authorities if necessary. A source acknowledged that he would have to run a very different campaign to 2011, when he played heavily on his business insights at a time when the economy was in free-fall. “It’s likely a decision will be made around the time when the writ is moved,” the source said.